The right might lose power if it does not run on joint ticket, shows a weekly poll undertaken by i24NEWS-Israel Hayom. According to the poll, seven right-wing parties will not reach the electoral threshold and hence stay out of the Knesset: Habayit Hayehudi, National Union, Otzma Yehudit, Zehut, Yisrael Beytenu, Kulanu and Yahad. But parties that don’t reach the electoral threshold by winning at least 3.25 percent of the valid vote stay out of the Knesset, translating into fewer seats in parliament for their ideological camp. Thus the conventional wisdom has it that a joint list of several parties which share a similar ideology would translate into more Knesset seats by minimizing the chances of votes being thrown away on parties that fail to make it over the minimum threshold. This week’s poll was conducted by the Maagar Mochot polling institute using a representative sample comprising 510 respondents. The margin of error is 4.3 percentage points. 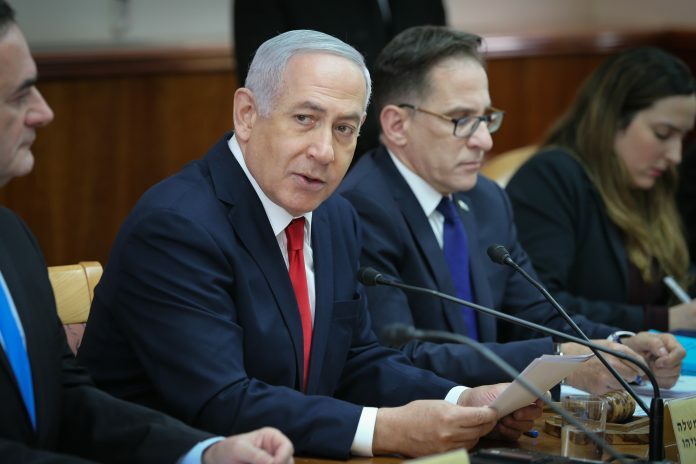 The poll was conducted this week after the Likud primaries, which determined the party’s Knesset list, and after leader of the centrist Israel Resilience Party Benny Gantz made controversial statements suggesting he was in favor of territorial concessions. In this week’s poll, Likud is projected to remain the largest party in the Knesset with 29 projected seats, picking up one seat from last week. The upswing could reflect voters’ satisfaction from its newly unveiled list following Tuesday’s primaries. Gantz’s party is projected to win 17 seats, down from 19 last week. This could be explained by the political fallout from his statements this week. Labor dropped to a new low of four seats in this week’s poll, one down from last week and just over the electoral threshold. The poll clearly shows that if the left, the right and the center presented three large lists, rather than various small parties, it would change the election entirely. A government can be formed only if it wins a Knesset vote of confidence. Usually this is done by forming a coalition of parties that represents more than 60 Knesset seats (or in the case of the left and the Arab parties, a de facto alliance rather than a full-fledged coalition). Hence, elections usually boil down to which ideological bloc, rather than which specific party, can garner a parliamentary majority or at least win the most votes in a confidence vote. If a Yesh Atid-Israel Resilience Party list were to include former Chief of Staff Gabi Ashkenazi, it would scoop up 35 seats, an increase of three seats compared to last week. In that scenario, the Likud would win 29 seats, a decrease of one seat. This could lead to a Knesset in which the right and the ultra-Orthodox parties no longer enjoy a majority, potentially paving the way for a center-left government. In a case of three merged lists — religious Zionist parties Habayit Hayehudi and National Union; Labor-Meretz, and Yesh Atid-Israel Resilience — the risk for the right falls slightly. According to the poll, in that case Israel Resilience and Likud would each win 30 seats; Labor-Meretz would win 10; and National Union-Habayit Hayehudi would win six. This scenario would give a right-haredi bloc a slight edge in the Knesset.